1999 VHS, Length 13 Min. Children see the road differently from adults. How does children's development affect their perception of traffic? What behaviors should adults watch for when driving near children? All these questions and more are answered in "Children In Traffic." 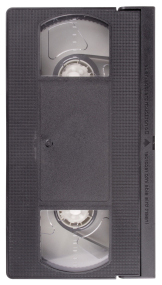 This 13-minute VHS update to the AAA Foundation's classic video presents real-life footage showing how children's perceptions of traffic differ from those of adults. It provides insight on why children behave unexpectedly and is a must-see for all drivers.